Hartono, D.. “Thermodynamic modeling of CO2-THF-H2O hydrates”. Hoffmann, A. “Predictive model for hydrate formation in a tube-in-tube coil heat exchanger”. 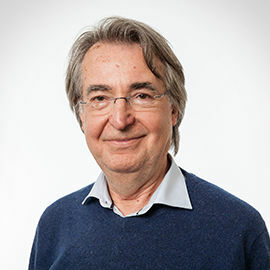 van der Kleij, A. “Feasibility study on a sustainable district heating network for the Gaiapark”, BreedOfBuilds. van der Tempel, W. M. “Design of a refrigeration system for a novel ice cream cabinet”. 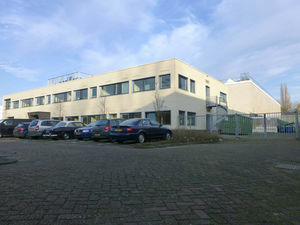 Unilever Research and Development Vlaardingen. Dusseljee, C. “Steam savings on a C3-splitter at the Maasvlakte site of LyondellBasell industries”. LyondellBasell Maasvlakte. Groen, C. B. “CO2 hydrate formation in coil heat exchangers”. Hosseini, L. “Design and analysis of a solar assisted absorption cooling system integrated with latent heat storage”. Deerns. Koekenbier, S. F. “PCM energy storage during defective thermal cycling”. Maertens, T. “Solar driven Stirling generator”. Solfence Solar Technologies. M.Sc. in Mechanical Engineering, Instituto Superior TÃ©cnico, Lisboa, Portugal, 1977. M.Sc. in Mechanical Engineering, Delft University of Technology, NL, 1981. Ph.D. in Mechanical Engineering, Delft University of Technology, NL, 1985. Solar air conditioning in Europe - an overview, Renewable and Sustainable Energy Reviews, Volume 11, Issue 2, February 2007, Pages 299-314. C.A. Balaras, H.–M. Henning, E. Wiemken, G. Grossman, E. Podesser and C.A. Infante Ferreira. International Journal of Refrigeration, vol.29, pp.556-565, 2006. Influence of solute type and concentration on ice scaling in fluidized bed ice crystallizers, Chemical Engineering Science, vol.61, pp.4354-4362, 2006.
International Journal of Refrigeration, vol.29, pp.36-46, 2006. Profile generation method for twin screw compressor rotors based on the meshing line, International Journal of Refrigeration, Vol.28, pp.744-755, 2005.
International Journal of Heat and Mass Transfer, vol.48, pp.3478-3483, 2005. Journal of Crystal Growth, vol.275, p.e1361-e1367, 2005.
International Journal of Refrigeration, vol.28, pp.27-36, 2005.
International Journal of Heat and Mass Transfer, vol.46, pp.3683-3695, 2003. C.A. Infante Ferreira, T.A. Newell, J.C. Chato and X. Nan. International Journal of Refrigeration, vol.26, pp.433-441, 2003.
International Journal of Refrigeration, vol.26, pp.442-451, 2003.